Everyone has exam pressure but we can handle it. Pressure arises only when we have doubt on our study means study is incomplete at that time we get more stress because there are many expectations from our family, friends, and teachers. At the time we take more tension & this directly affects on our study. So we lose our concentration, grasping power & at that time what the things we know we forgot all the things & we get more nervous which indirectly affects on our health. If we will do study with all planning then our stress level decreases & we can get good marks in exams. 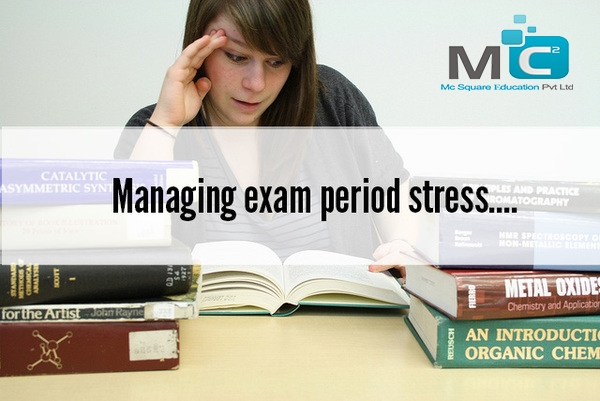 For avoiding all exam stress Mc2 academy helps you. When we make time table we don’t follow that timetable then at the time of exam our stress increases. To avoid this stress firstly you have to do study planning & follow this in any situation. You have to do more study & get good score in the exam. If your stress increases then it directly affects on your health. So by doing time to time study you can remove your stress very fast. Every student has its own aim, according that aim every one doing hard work. So to achieve your aim you have to do more hard work & have to do proper planning. Your future depends upon your present means what you do now that will get you in your future. If you give your 100% then there is no need to worry about end result. So while you are doing study do it carefully instead of any stress. Under pressure you can’t do your 100%. One thing while you are doing study don’t do continuously take a break because of that your mood is fresh & you can grasp more as you are expecting. Mc2 Academy is the best CSIR NET Exam, IIT JAM Exam, SET & NEET UG coaching institute in Pune. Our main focus is on student’s future. We take topic wise discussion& test series on individual chapter & on complete syllabus.